Trish holds a B.Soc (Hons) and a Diploma in Management, she has been a member of the CMRP core teaching team since its formation. She leads on the Teaching 2 Masters module, and trains teachers and leads retreats in the UK, in Europe and further afield. Trish has a longstanding connection with South Africa, and uses mindfulness whenever possible with local people affected by poverty and illness. 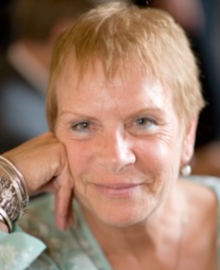 Trish’s specialisms include MBCT for Cancer; Mindfulness with the care of people at the end of life; Mindfulness and group process; Mindfulness and Development. She developed Mindfulness-Based Cognitive Therapy for people with cancer (MBCT-Ca) after many years of teaching within a regional oncology unit, and published a book called Mindfulness-Based Cognitive Therapy for Cancer: Gently Turning Towards.